Growth to maintain gains "eminently achievable"
Remote betting on British racing will have to grow by six per cent per year to simply maintain the gains which will result from levy reform, according to gambling industry strategic consultant Paul Leyland, who went on to describe that as an "eminently achievable" objective. BHA chief executive Nick Rust believes the necessary growth could be reached but warned that it would require betting and racing to work together. Last weekend the government confirmed its plans to reform the levy system by bringing remote operators based offshore into the funding net from April 1, which should return yields to around £90 million per year. However, with profit margins lower on remote betting compared to betting shops, Leyland's company Regulus Partners has estimated that as betting continues to shift online, growth in remote betting will have to increase by six per cent a year to completely offset a £2.5 million loss from retail levy. It is understood that racing's internal analysis estimates that a four per cent annual growth in remote betting activity is required to maintain yield and that if there is no growth in activity levy yield will fall by around five per cent over the next seven years. In a note issued following sports minister Tracey Crouch's announcement, Leyland said that rather than complaining about the cost "bookmakers should start seeing themselves as far more active stakeholders within racing, to turn the cost into an opportunity". Leyland told the Racing Post that declining field sizes and increasing numbers of short-priced winning favourites meant "the competitiveness of racing has reduced". He went on: "The bookmakers are contributing to British horseracing putting on over 10,000 races per year and that's a very powerful volume of betting product, but if the volume isn't matched by attractive opportunities to bet, then the bookmakers' money will not be generating attractive returns. "Given it is a front cost, given they have to pay it anyway and given they are going to have to pay some level of streaming and media rights it will be far better to engage with racing to improve the betting product as a stakeholder than complain and pick fights and just have it as an expensive extra product." Rust said the sport recognised the changing market presents racing "with a number of opportunities as well as challenges". He went on: “The new legislation will firstly and importantly ensure that there is a fair return delivered from all betting activity – more than half of which is now through online channels – but it will be for racing to work with the betting industry beyond its implementation to grow activity on the sport and deal with the challenges presented by continued channel shift and downward pressure on margins. “The growth required in remote betting activity to deliver a consistent level of return for the next seven years is clearly achievable but it will require both parties to work together. 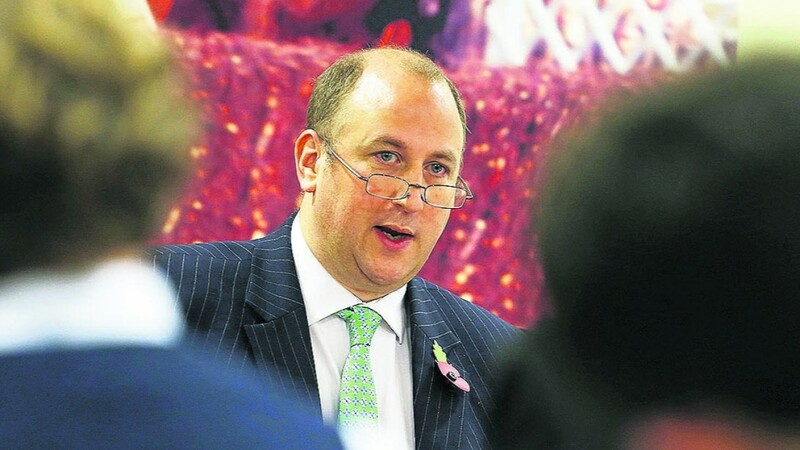 Newmarket's MP Matt Hancock, a colleague of Crouch's at the Department for Culture, Media and Sport, paid tribute to the sports minister for her "impeccably even-handed role". He added: "Crucially, as a permanent arrangement, racing and betting can now work better together on agreed terms for the future."